That statement pretty much sums up our confidence that you will be pleased with your Braman Termite & Pest Elimination experience. 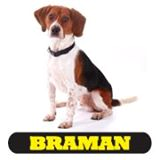 Braman is a family owned company with 5 service centers across southern New England. We have worked hard to maintain a reputation for service excellence for 126 years. Braman has earned the National Pest Management Association's coveted QualityPro and GreenPro designations as well as numerous Angie’s List Super Service Awards. We are accredited by the Better Business Bureau and are members of the National, New England and Connecticut Pest Management Associations. All Braman Termite & Pest Elimination technicians and the company as a whole are state licensed, certified and insured. Since 1890 Braman has been providing state-of-the-art pest elimination procedures that are the safest available for you, your family and pets. We eliminate pests efficiently and economically in your home, business or institution. Whether the problem is termites or carpenter ants, bees or bed bugs, mice or stink bugs, ticks or mosquitoes, Braman has the answer. I am very please with the responses to my phone calls, being earlier than expected for appointment, the serviceman knowledge of various pest and how to deal with them. I cannot think of anything to negative to say about the service. Shaun was great. Provided information, explained what he found, what he was doing to remedy problems and made sure we were satisfied. the service man was great. I'll be even more happy if the mice don't return. I won't know for a while. The gentlemen were wonderful! They helped us with everything. My husband and I are both disabled and they put our televisions in the cellar for us. They did a great job!!! Your staff is well trained, personable and timely. Quick & courteous service. I always try to use a local company. Would highly recommend this company for all your extermination needs. Happy with the outcome and well price . Thank you. Your technician's have been very friendly and knowledgeable. Another great job by Braman. Great customer service! The employee that came was friendly and professional! The service was great!!! The woman who did my inspection was thorough,professional and very pleasant. On time , pleasant, and efficient. The odor from the chemicals was horrible. It lasted for 5 days. Stacy was very nice and helpful. We appreciate your timely response to our needs. I called-in a review. I'm exceptionally pleased with the speedy, professional, & thorough service. The Braman Team has always done a wonderful job of keeping our home pest free! Happy clients for over 20 years! thanks for your services. we are happy. thank you . They did a great job. And inspect everything on the property.Thanks. Your services have been good. Thanks again Josh. M. No Activity. Very professional. Ed was excellent. He was thorough,knew what he was doing and friendly. I want him next year. Review subject to what I find when I return from Fla after the winter! So far so good. We are not seeing any mice. Please have Becca come every time. She is very thorough in her work, very nice, and makes sure everything is done. If anything she should get a raise, you are very lucky to have her working for you, a very good representstibe. Thank you for taking care of the Hornet’s nest in our yard. The work was done quickly and responsibly.